The hydraulic pump is a vital part of any hydraulic system, because it creates the pressurized fluid necessary to generate torque and power. Having your pump fail can be a big inconvenience to say the least. 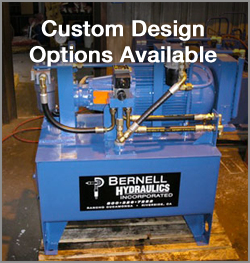 Fortunately, you can get the hydraulic pumps repair Chino CA you need from Bernell Hydraulics. We stock plenty of pump parts for the do-it-yourselfer, and we also offer full service repair if you’d like one of our techs to fix the pump for you.